With the offering of a diesel engine, Chevrolet has given the Cruze a unique selling point in the segment. 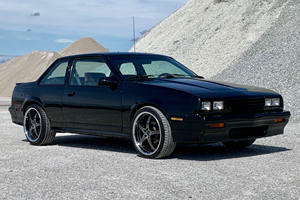 The 1.4-liter turbo-four is rated at 153 hp and gets a 6-speed regardless of manual or automatic. Both models drive the front wheels. The 1.6-liter, 137-hp diesel is available in 6-speed manual or 9-speed automatic guise, driving the front wheels. An optional RS styling package adds 18-inch wheels, a sports body kit, front fog lamps, and a rear spoiler, along with RS badging – but no bump in performance. Safety can be optioned to include forward collision warning, lane keep assist, and blind spot assist. Released new in 2016, the 2nd generation Chevrolet Cruze looks set to follow in the mainstream footsteps of the first model in becoming a huge success – the Cruze is after all Chevrolet’s biggest seller worldwide, selling 3.5-million units since 2008. 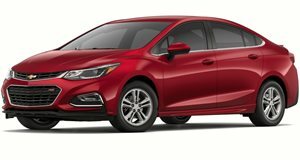 Available in two body styles – hatch and sedan – with massively revised styling and a fresh interior, the Cruze has now transitioned up-market. 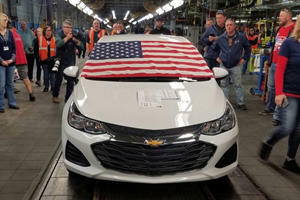 In lieu of Volkswagen’s recent fall from grace over diesel emissions, Chevrolet’s bold decision to offer the Cruze with a diesel engine could be either a big mistake, or a defining moment in the future success of the model. Unlike the previous generation, this time the Chevrolet Cruze has an interior that looks designed and well thought through. The simplistic dash layout looks appealing and features all controls within appropriate reach. Even the cheapest models get a full mobile connectivity infotainment suite with the 7.0-inch MyLink setup. Although it looks great, some materials feel sub-standard; as if built to look good above all else, but feeling plastic and cheap when actually touched. Volkswagen and Mazda’s interior lay waste to the Cruze in premium feel. There is space to seat 5 – though rear leg and head room is a little tight compared to others in segment. The seats themselves are comfortable to the point that road trips don’t leave occupants feeling fatigued. In the way of space, the sedan gets a trunk capacity of 14.8 cubic feet, with the hatchback improving on that at 18.5 cu ft. Drop the rear seats of the hatch, and that figure swells to 47.2. On 16-inch alloy wheels and Goodyear Assurance tires, the ride is relatively accommodating of ruts and bumps in the road. Optional 17-inch wheels firm the ride up a little, but even then this still has one of the best rides in its class. There’s a sense of connection between the chassis and the road regardless of how bumpy it gets, though the shocks feel a little stiff over rapidly changing roads and the ride can get a little choppy at times. Electronically power-assisted steering features – as is the norm – and is typically muted. Weighting on the wheel is very light but responses are quick and direct – trust in the front wheels’ mechanical grip, rather than driving by feel, and the Cruze performs admirably through a series of twists and turns. Push a little more and there’s an agile chassis with plenty grip, however any liveliness is quickly reeled in by an overly sharp stability control program. 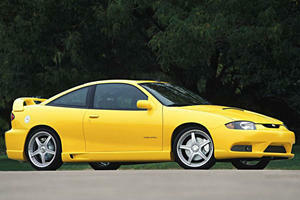 The default engine choice is a 1.4-liter turbo gasoline motor with 153 horsepower and 177 lb-ft of torque. Drive goes to the front wheels through a standard 6-speed manual, with optional 6-speed automatic. Performance from the 1.4 is sub-par, tapering off before it ever really gets going, though the manual is fun. But there’s a more frugal, more torquey diesel option (sedan only) – a 1.6-liter turbo-diesel with 137hp and 240 lb-ft, which uses either a 6-speed manual or 9-speed auto to drive the front wheels, while delivering 52 MPG on the highway according to the EPA. In lower trims, standard kit is pretty skimpy. Move up the trim levels though and you’ll eventually have access to an optional 9-speaker Bose audio system, climate control, keyless entry, power seat adjustment, cruise control, a rear view camera, and heated leather seats. 10 airbags are standard across the range, with ABS, and stability control. The optional Driver Confidence Package adds Rear Park Assist, Side Blind Zone Alert with Lane Change Alert, and Rear Cross-Traffic Alert. Forward collision warning, lane departure warning, and lane keep assist feature with the Driver Confidence II package. The Cruze achieved 5 stars in NHTSA crash tests. With Volkswagen ditching diesel, the Cruze has stepped in to fill the void. The sedan offers a stylish package, frugal economy, and decent performance – but lacks on standard creature comforts without a few optional extras. The 1.4-turbo offers middle of the road performance, but comes in a hatchback.